In the stock market, as in many other arenas of life, risk and reward usually go together. The riskier an investment, the bigger the potential payoff. Likewise, the less risky an investment, the smaller the payoff. Consequently, if you’re looking for big potential returns in the stock market, you have to be “OK” with absorbing big potential risk. To be sure, the best investments in the stock market are ones that mitigate risk and maximize return, and have a positive risk/reward profile. But mitigating risk often comes with diluting potential return. Thus, the biggest winners are often stocks that, at one point in time, were considered very risky. Case in point: Advanced Micro Devices (NASDAQ:AMD). In early 2018, AMD stock was considered very risky. It was a barely profitable semiconductor company with a long history of operational turbulence, and the stock was trading at nosebleed multiples relative to peers. 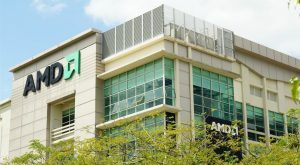 Yet, the company continued to fire on all cylinders, and AMD stock turned into the best-performing S&P 500 stock in 2018. Consequently, for investors looking for big potential returns in Q2, I’ve put together a list of seven high risk, high rewards trades for the next three months. To be sure, these trades aren’t for the faint of heart. They have big risks. But, they also have big return potential, and that’s why they could be of interest to risk-on traders. The Rewards: Shares of China luxury electric vehicle maker NIO (NYSE:NIO) have been ice cold ever since the company announced disappointing fourth-quarter numbers, which included signs of a demand slowdown in January and February 2019. NIO stock has lost about half of its value in a month. This sell-off seems overdone. Delivery volume picked back up in March, implying that weak January/February numbers were an anomaly. If so, and if the numbers remain good throughout the year, NIO stock could rally in a big way over the next several months as optimism returns to the stock. The Risks: China’s economy is slowing, electric vehicle competition in China is increasing, and NIO doesn’t have a long track record to prove resilience to macro risk factors (the company started delivering vehicles mid-way through 2018). As such, there are many reasons to believe that the numbers will continue to slow throughout 2019. If so, NIO stock won’t go higher. Instead, given its still-premium valuation, the stock will only go lower if the delivery numbers don’t turn around. Rewards: If you’re shorting shares of social media company Snap (NYSE:SNAP), you should know they have been on fire ever since the company’s fourth-quarter earnings report, which put an end to user base erosion and paved a path for healthy growth over the next several years. Over the past three-plus months, the stock has more than doubled. That means big expectations are priced in ahead of the company’s next earnings report, due at the end of April. Specifically, investors expect continued user base growth, and if they don’t get that (they might not, given adverse search trends which imply Instagram is still eating Snap’s lunch), the stock could collapse in a big way. 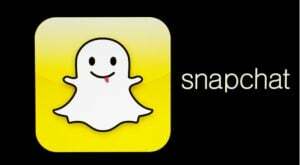 Risks: SNAP stock has a lot upward momentum, and stepping in the way of momentum is always a risky and tough thing to do. As of last quarter, all the important trends were moving in Snap’s direction, including user growth, unit revenue growth, gross margins and overall profitability. If those positive trends show up again in the April earnings report, then SNAP stock will not just hold onto its big gains, but also add to them as investors hop on the momentum train. Rewards: Many investors have put meal kit maker Blue Apron (NYSE:APRN) in the “dead and gone” category, and the stock price appropriately reflects this (right around $1 per share). But, the meal kit space isn’t a bad one, and secular trends in the on-demand and at-home economies imply that the space has healthy growth potential over the next several years. It’s a highly competitive space. Blue Apron won’t be the king. 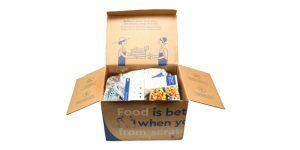 But, under the right management, Blue Apron could be a relevant player in the space. Importantly, the company just switched out its CEO, and tapped the former COO of Etsy (NASDAQ:ETSY) to run the company. That’s a good hire (Etsy knows a thing or two about turnarounds), and makes an APRN stock turnaround from here seem more likely than ever before. 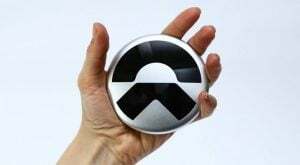 Risks: The bull thesis in APRN stock hinges entirely on new management figuring out how to stabilize sales erosion while concurrently cutting costs and improving profitability. That’s a tall order. As of last quarter, revenues were dropping by over 20% and the company was still running wide losses. Thus, new management needs to do a lot to turn this ship around. It’s not impossible, but it will be tough. 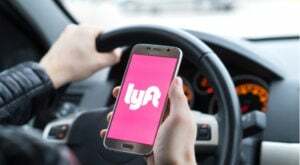 Rewards: Ride-sharing giant Lyft (NASDAQ:LYFT) has had a tough start on Wall Street. But, this is a very big company, growing very quickly, with shared dominance in a North American ride-sharing market that is only scratching the surface of its at-scale potential. Long term, Lyft has clarity to one day morph into an $80 billion ride-sharing giant. The company has a valuation of just $20 billion today. Consequently, long term upside looks compelling, and investors should start to see that long-term upside once this near term panic fades. Risks: At the risk of sounding like a broken record, stepping in the way of momentum is a risky and tough thing to do. Right now, LYFT stock has a lot of downward momentum, as everyone has bought into this thesis that the IPO valuation was unsustainable. So long as this thesis remains front-and-center, LYFT stock will likely remain weak. No one really knows when this thesis will fade from the spotlight. As such, downside risk in the near term remains very real. Rewards: In the intro, I mentioned that AMD stock was the S&P 500’s top stock in 2018. Interestingly enough, it’s also one of the S&P 500’s top-five stocks thus far in 2019. It has become increasingly clear that AMD is successfully expanding its relatively small CPU and GPU market share, so the “David turning into Goliath” thesis here is gaining traction. Because AMD is a $30 billion company, and its peers are $100 billion-plus companies, so long as that thesis remains alive and well, AMD stock will have plenty of room to run higher. Risks: At current levels, the biggest risk with AMD stock is valuation. The stock trades at a nosebleed valuation, and even under aggressive long-term growth assumptions, the most aggressive price target I can get to for fiscal 2019 is around $27. Thus, this big 2018/19 rally does appear to be living on borrowed time. The stock is due to drop in a big way on any bad news. Will that bad news come within the next few months? No one knows, but the big valuation does imply big risk. Rewards: All pot stocks have been in rally mode in 2019, but none quite as much as Cronos (NASDAQ:CRON), which could make for an interesting short. At one point in time, the smallest of the Big 4 Canadian cannabis stocks was up 120% year-to-date. That rally has since been faded following disappointing fourth-quarter numbers. CRON stock now trades more than 20% off its 2019 highs. This drop should continue over the next several months. On almost every metric, CRON stock is about as expensive as it gets in the cannabis space, and the recent quarterly numbers underscore that this premium valuation isn’t warranted. Thus, until the next earnings report rolls around, the recent downtrend in CRON stock should persist. Risks: The risks associated with shorting CRON stock are essentially the same risks that arise when you short any cannabis stock. This is a highly volatile industry that is subject to both big drops on bad news and big rallies on good news. 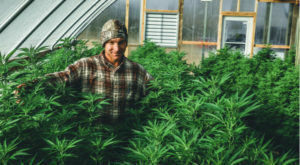 Right now, the news flow in the cannabis space is largely positive, mostly thanks to a robust legal Canadian market growth, a healthy U.S. legalization progress and a ton of investment and M&A activity. If this positive news flow persists, then CRON stock may be able to buck its recent downtrend, and catch a ride higher with the rest of the pot sector. 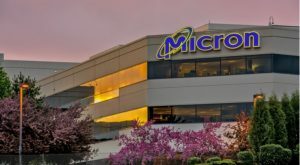 Rewards: Memory chip maker Micron (NASDAQ:MU) has been hammered over the past several months amid deteriorating supply/demand fundamentals in its core memory markets. Specifically, a slowdown in global economic expansion and a rise in trade and FX headwinds has diluted memory market demand, while supply has been building for a long time and inventories now sit at 25-year highs. This has created downward pressure on revenues and margins. But, MU stock now trades at just 9 times forward earnings, and there’s reason to believe that — given global economic stabilization, aggressive first quarter semiconductor market inventory clearing, and global trade and FX improvements — the worst is in the rear-view mirror. If so, MU stock could explode higher from here. Risks: There’s nothing in the numbers which supports this bull thesis. Specifically, gross margins are still in free fall, so this turnaround is all speculative based on the idea that semiconductor market fundamentals are getting better globally. Until these improvements show up in the numbers, MU stock will likely remain weaker for longer. As of this writing, Luke Lango was long NIO and LYFT. Article printed from InvestorPlace Media, https://investorplace.com/2019/04/7-high-risk-high-reward-trades-for-q2/.